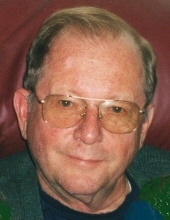 Edwin M. Cole, 78, Ridgewood Drive, Gettysburg, PA died Friday, April 5, 2019 at the Gettysburg Hospital. He was born August 19, 1940 in Gettysburg, PA the son of the late Richard and Katherine Codori Cole. Ed is survived by his wife, Janet Sell Cole. Ed was a member of St. Francis Xavier Catholic Church, Gettysburg, PA. He was a 1958 graduate of Delone Catholic High School. He then enlisted in the US Navy serving aboard the U.S.S. Franklin D. Roosevelt aircraft carrier as a Photographer’s Mate 2nd Class. He made several Mediterranean Sea cruises. Among his many memorable assignments was when he and his Navy buddy, Ray Tyler, were selected to go aboard the destroyer U.S.S. Kennedy in Cannes, France to photograph Mr. Joseph Kennedy, Sr. when he visited the ship named in honor of his eldest son. Following his service, Ed attended Mount Saint Mary’s University graduating in 1965. He then was employed at United Telephone Company in Chambersburg, PA. Later, he ran the Human Relations Department at C.H. Mussleman Company. While Ed was serving as Vice President of the Gettysburg Chamber of Commerce, Herff Jones Yearbooks Company from Buffalo, NY was looking at several places to relocate its business. Gettysburg was chosen. When asked to take over the Human Relations position for the new plant, Ed accepted making him the first employee hired. He was responsible for hiring all the new employees to start up the Herff Jones operation in Gettysburg. Ed helped coordinate the moves for twenty families from Buffalo to the Gettysburg area. He was the liaison for all communications between the Herff Jones plant in Buffalo and the corporate office in Indianapolis, IN. Later, he was offered the position of Purchasing Manager. He took additional classes and became a Certified Purchasing Manager. He was with Herff Jones for 26 years, retiring in 2000. Ed was a member of the Gettysburg American Legion, Gettysburg VFW, 40et8, Bonneauville Catholic War Veterans, Hanover AmVets and was a life member of the McSherrystown Home Association. Ed enjoyed fishing, gardening, traveling and cooking. He had an insatiable quest for knowledge of the Civil War and World War II, reading and studying everything he could get his hands on. In addition to his wife, Ed is survived by a son, Dr. Jeffery A. Cole of Gettysburg, PA, two grandsons; Tyler J. Cole and Alexander M. Cole of Gettysburg, PA, five brothers; Ken Cole and his wife Marilyn of Buchanan Valley, PA, Bill Cole and his wife Donna of Gettysburg, PA, David Cole and his wife Henrietta of Philadelphia, PA, James Cole and his wife Ann of Gettysburg, PA and Phillip Cole and his wife Diane of Orrtanna, PA. He was predeceased by a daughter, Deborah Ann Cole, three brothers; Robert Cole, Richard Cole, Thomas Cole and a sister, Patsy O’Brien. A Mass of Christian Burial will be celebrated, Saturday, April 13, 2019 at 11:00 AM from St. Francis Xavier Catholic Church, High Street, Gettysburg with Fr. John Kuchinski celebrant. Interment will military honors will be in Evergreen Cemetery. There will be a viewing Friday, April 12, 2019 from 6:00 PM until 8:00 PM at Monahan Funeral Home, Gettysburg, PA. In lieu of flowers memorials can be made to the Leukemia & Lymphoma Society, 101 Erford Road, Suite 201, Camp Hill, PA 17011 or St. Francis Xavier Catholic Church, 455 Table Rock Road, Gettysburg, PA 17325 (for debt reduction) or to a charity of your choice. Online obituary and condolences available at monahanfuneralhome.com. "Email Address" would like to share the life celebration of Edwin M. Cole. Click on the "link" to go to share a favorite memory or leave a condolence message for the family.